It was a brilliant weekend of racing for our customers this weekend who were out in force at the Brands Hatch Mini Festival and Oulton Park Gold Cup. Nick Padmore, who took time out of racing his historic F1, was back in his Swiftune powered Miglia. He shone in qualifying putting it on pole and then flew through race 1, winning and got fastest lap. He then carried on his winning streak and finished 1st in race two! Both Swiftune powered Migs of Charlie Budd and Rob Howard wasn’t as lucky, getting caught up in an accident on the first corner in race 1, with seven cars dropping out in the accident. It was a better race two, with Charlie finishing in 8th overall, followed by Rob in 9th. 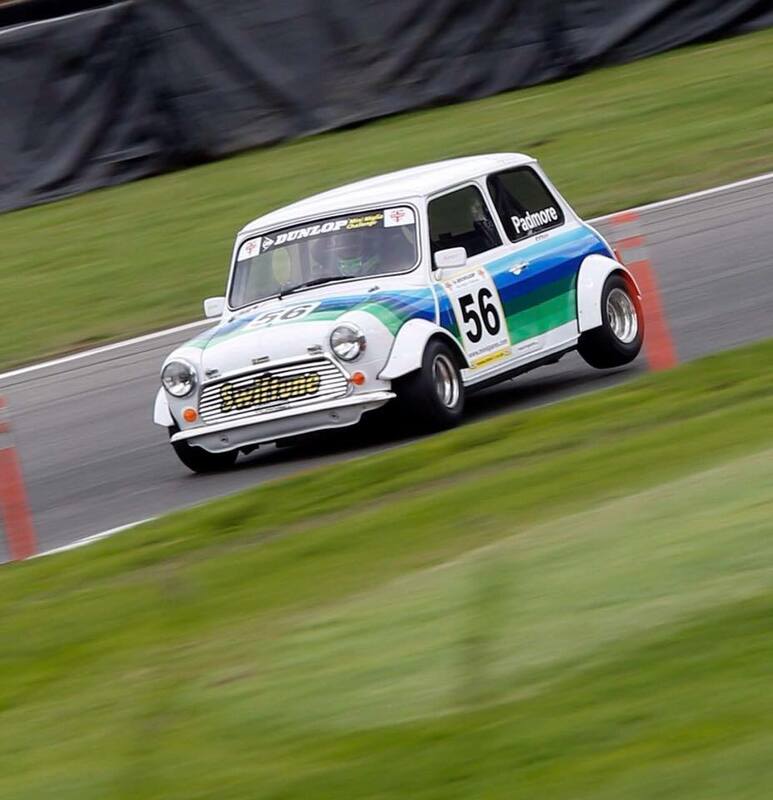 Following a dramatic crash at the last round of the Mini Sevens at Thruxton, it was great to see Swiftune powered Dan Budd back out racing after building a new car in time for the Mini Festival. He qualified in 6th place but due to a wiring loom issue finished 18th in Race 1. He amazingly clawed it back in race 2, winning overall and claiming fastest lap. Elsewhere across the weekend Mark Woodhouse was out at the Oulton Park gold cup in his front engine Formula Junior. He qualified in 3rd place and went on to win the very wet race. Meanwhile Barry Sime was racing his FIA Appendix K Swiftune powered Mini in the Historic Touring Cars. It was a very successful weekend for Sime, who qualified on pole, finished 2nd in race one and then went on to win race two. Fellow Swiftune powered racer, Larry Warr, was also out for his third race in his new Mini, finishing 15th out of 25 in race 1 and 12th place in the second race.